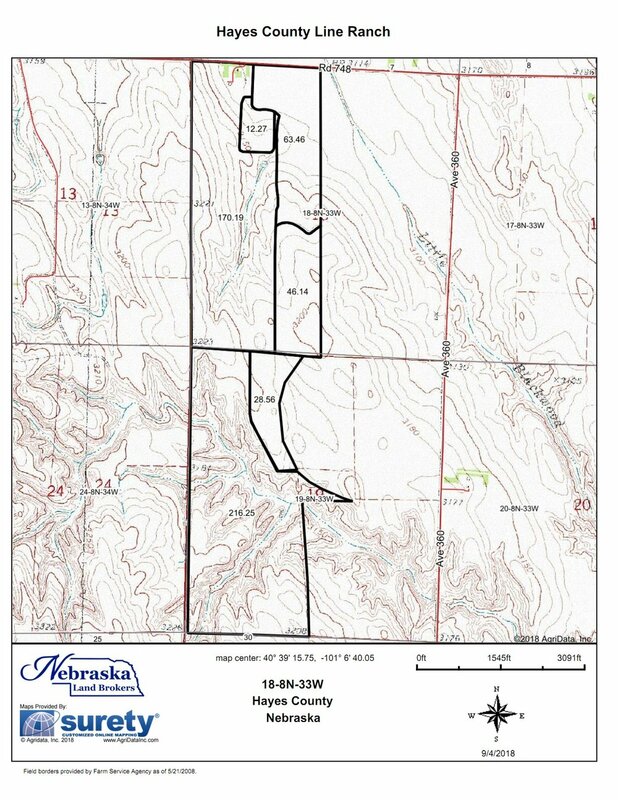 Located in north central Hayes County this 523 acre property is a combination of building site headquarters, hardland pasture and non-irrigated cropland. The property has very good county road access just 2 miles from Highway 25. This Property was Sold by Duane McClain through Buyer Brokerage Representation. Sold by Duane McClain through Buyer Brokerage Representation, the 523 acre Hayes County Line Ranch is located in north central Hayes County. The combination property includes a building site with brick veneer home with a partially finished basement that has had many upgrades in the past several years. The home is approximately 1,380 sqft with 2 bedrooms and 1 bathroom upstairs and about 1,260 sqft in the basement. The home features extensive remodeling in the past several years including the kitchen, bathroom, new carpet and laminate flooring. The kitchen has near new wood cabinets and “floating’ laminated floor. The newer Midwest post frame building is 100’ x 60’ and makes for an excellent shop and farm storage building. Additionally, steel feeding pens which has room to feed up to 500 head, established windbreaks line the property and provide for excellent protection for calving or weaning calves. The land consists of 391 acres of hardland rangeland with stock water at the building site and a solar powered well in the fenceline providing water for both pastures. 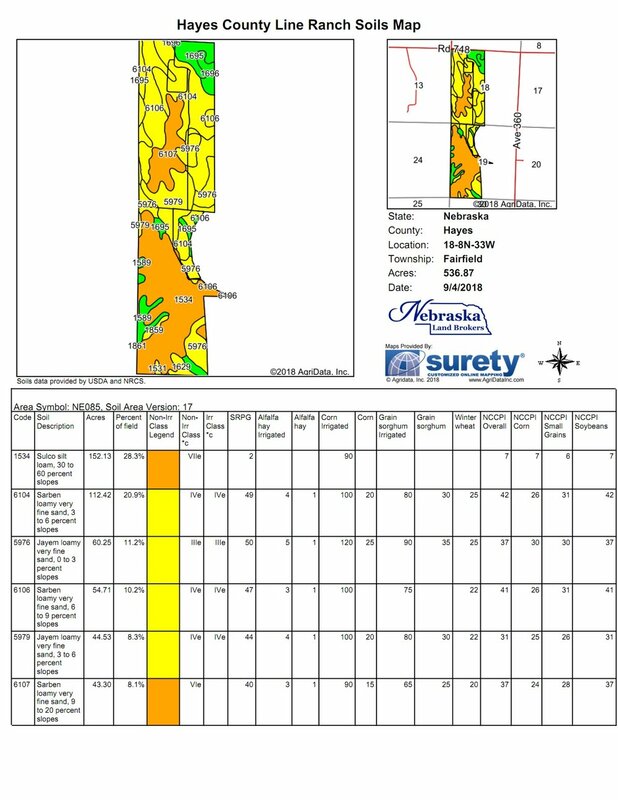 The balance of the property is 115 acres of marginal non-irrigated cropland. $590,000 SOLD & CLOSED 9.5.18 through Buyer Brokerage Representation. 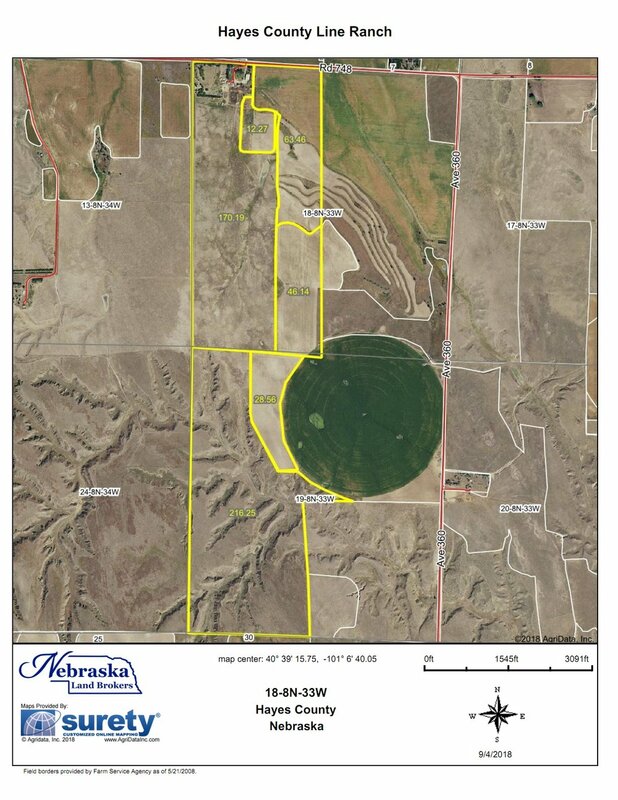 523 acres consisting of 391 acres of pasture, 115 acres of non-irrigated cropland and the balance being building site and roads. Newer PostBirdwood Pasture - Sutherland NE REDUCED!